If you want to request an autograph, follow the guidelines bellow. If you just want to mail a letter with the address above, and do not want anything back, then you can stop reading! 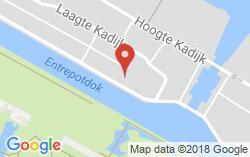 If you live in The Netherlands send a properly stamped and self addressed envelope (minimum size 8.5" x 4") with your request letter and a photo. You can include a piece of cardboard to keep the photo from bending in shipping and also add "Do Not Bend" on the envelopes. Send your letter and wait. On average, there is going to be a 3+ month wait for a response. If you do not live in The Netherlands, add several* International Reply Coupons. The International Reply Coupons (IRC) will be used by the receiver to purchase dutch stamps. You can only get them at your post office. Place the IRCs into the envelope, not on it. For more information on reply coupons click here. *For information on postage prices to receive a letter from The Netherlands click here.